“Restaurateur Jamie Leeds is thrilled to open The Twisted Horn in the Petworth neighborhood of D.C., which will be led by General Manager Megan Coyle of Hank’s Oyster Bar. 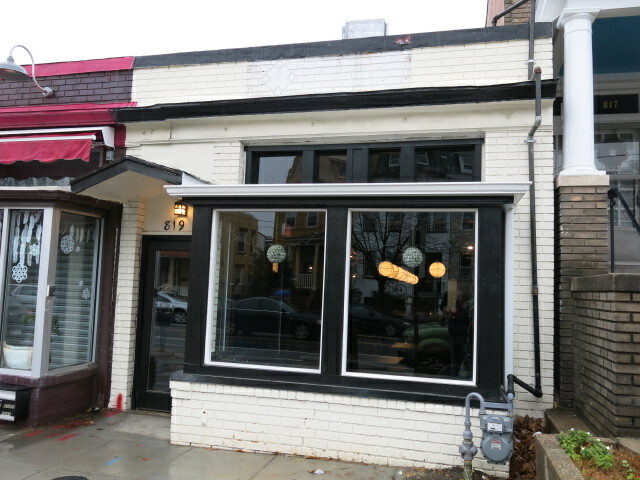 The craft cocktail bar officially opens on January 8th, located at 819 Upshur Street, NW, 20011. The menu highlights seasonally driven cocktails made with local ingredients, house infusions and innovative combinations, in addition to a number of bar bites and locally sourced snacks. The opening beverage list features unique drinks such as Saboteur Sling, Ramp & Jalapeno Singapore Sling; Ghostwood Development, Jensen Old Tom Gin, Sapins Liqueur, Port, Salmiakki Dala Scandinavian Fernet, Whole Egg, Savory Spices; and Ideal Cocktail, Gin & Vermouths with Marcona Almonds on the side. In addition, the menu will include classic cocktails as well as rotating beer and wine lists. Bartenders will serve up craft beers such as Day of the Dead Hefeweizen or Atlas Rowdy Rye and several varietals of wines will be available by the glass or bottle.